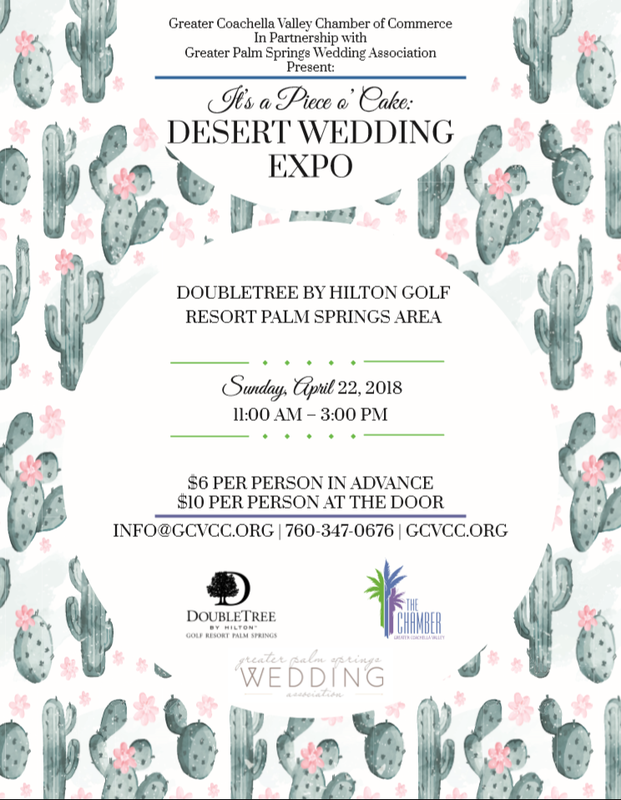 The Greater Coachella Valley Chamber of Commerce in partnership with The Greater Palm Springs Wedding Association present “It’s a Piece o’ Cake: Desert Wedding EXPO” held at DoubleTree by Hilton Golf Resort Palm Springs Area at 67967 Vista Chino, Cathedral City. 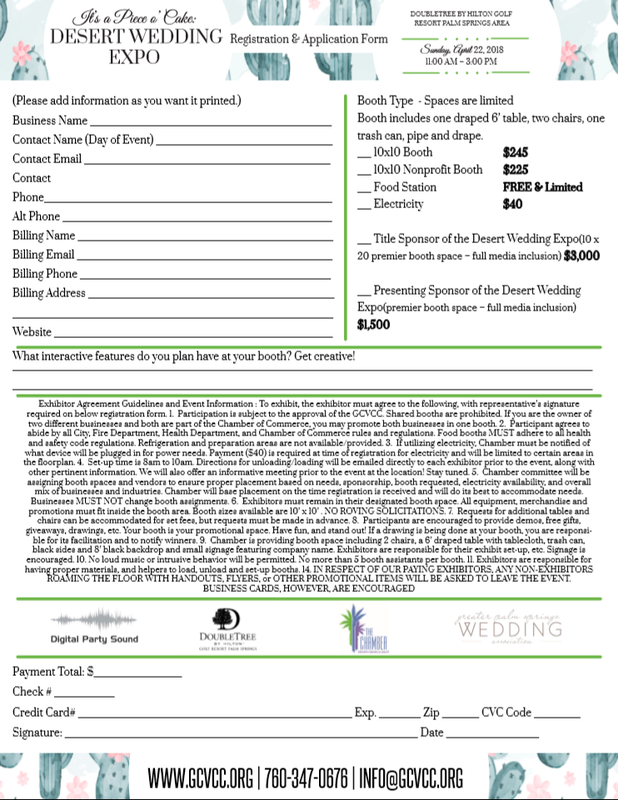 The first-time event will be held Sunday, April 22nd from 11:00 AM – 3:00 PM and The Chamber is now taking reservations for booths, vendors and sponsors. Food booths are free for GCVCC Members! Must provide 400 bites. Limited. Marketing includes: television, radio, paid social media, GCVCC website, GCVCC e-newsletter, flyers, programs, event promotions and more. Prime location, double booths, corner or prominent locations. Media inclusion.